The Healthy Air Campaign is tackling the public health crisis caused by air pollution. Every year, it is estimated that 29,000 premature deaths are caused by poor air quality in the UK. For those affected, air pollution reduces life expectancy by an average of over eleven years. This is nearly 5% of all annual UK deaths – but amazingly, there is very little awareness of the problem, making air pollution an invisible public health crisis that affects much of the UK. Air pollution is bad news for everyone. Groups such as children, older people and people with asthma are particularly vulnerable, and low-income and ethnic minority groups are also disproportionately affected. Pollution from road traffic, and particularly diesel fumes, is the most significant cause of poor air quality, and can be responsible for up to 70% of air pollution. The two pollutants of most concern are microscopic airborne particles, known as particulate matter, and nitrogen dioxide. Particulate Matter (PM) is made up of tiny particles suspended in the air. Nitrogen Dioxide (NO2) is a gas caused by road vehicles and other combustion processes. NO2 is extremely harmful to health and is associated with respiratory symptoms, inflammation of the lung lining and susceptibility to bronchitis. Aren’t new cars and buses getting cleaner? 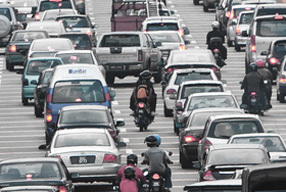 All cars and buses contribute to air pollution. Even electric cars can produce particulate matter from tyre and brake wear. However, while newer cars do cause less pollution, the rise in diesel vehicles is the big problem. In July 2010, sales of new diesel vehicles outstripped petrol cars for the first time. This change has been almost entirely driven by government taxation policy, which encourage consumers to buy diesel vehicles. New diesel cars have to meet a ‘Euro’ emissions standard. However, it turns out the way a lot of us drive our cars in urban areas (a lot of stopping, starting, quickly accelerating and braking) means the Euro cars are nowhere near as clean as tests in factory conditions suggested. We can’t rely on better emission standards alone to solve air pollution problems. Even if the new Euro standards show big improvements, there are still many more older diesel cars, taxis and buses in use across the country. 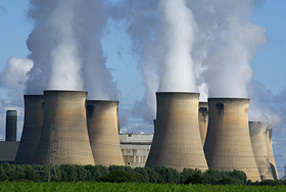 Breathing in air pollution causes a range of health problems, and everyone who is exposed may be affected in some way. Short-term exposure, such as going for jog along a heavily polluted street, is worse for those with conditions like asthma. Long-term exposure to air pollution is estimated to cause 29,000 premature deaths each year in the UK at an average loss of life of 11.5 years. This makes poor air quality one of the most serious public health risks facing us today. This figure is over twice the number dying from passive smoking before the public smoking ban was introduced, and over three times the number of premature deaths associated with obesity. The World Health Organisation has classified diesel exhaust as carcinogenic for humans, based on sufficient evidence that exposure is associated with an increased risk for lung cancer. Air pollution is associated with a myriad of health problems including respiratory diseases such as emphysema and bronchitis, asthma, impaired lung development in children, premature births and low birth weight, lung cancer and heart disease. A European study suggested that living near busy roads could be responsible for some 15-30% of all new cases of asthma in children and of chronic obstructive pulmonary disease and coronary heart disease in adults 65 years of age and older. Groups such as children, older people and people with asthma are particularly vulnerable to air pollution. See more detail in the ‘Am I at risk?’ section. No, the UK is breaking the law with its current air pollution levels. Air quality plans for 16 regions and cities (including London, Manchester, Birmingham, and Glasgow) will not comply with legal limits for air quality until 2025; in the case of London not until after 2030. The European Union (EU) sets legally binding limits for levels of major air pollutants under an ambient air quality directive. If any country in the EU breaches these limits, they potentially face huge fines from the European Commission. The UK government is currently in breach of these limits but has been using delaying tactics to avoid fines, rather than tackle the problem head on. 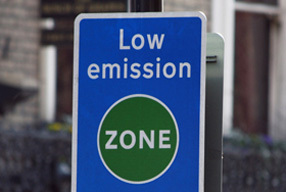 A legal action brought by ClientEarth in 2011 forced the government to admit it was breaking EU law on nitrogen dioxide. The ClientEarth site has the latest updates on the case. 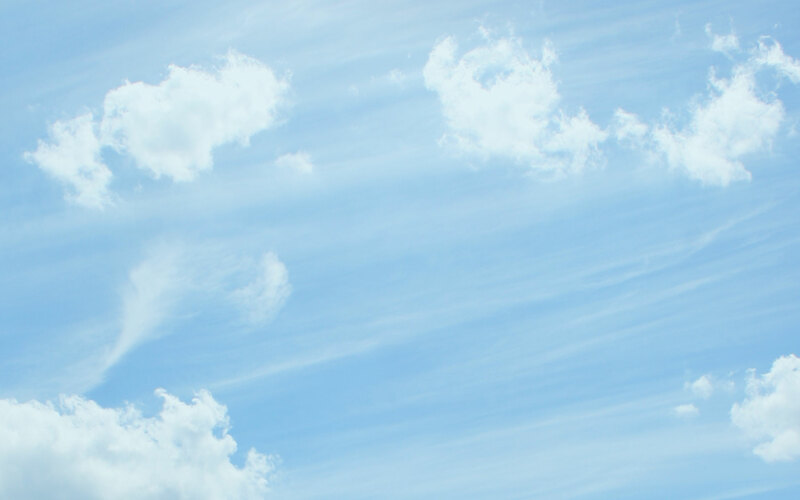 The EU Air Quality Directive has been transposed into English law by the Air Quality Standards Regulations 2010 and the government’s National Air Quality Strategy provides the government’s policy framework for air quality management and assessment in the UK. Primary responsibility for ensuring that EU air quality limits are met is with the Department for Environment, Food and Rural Affairs (Defra). Under the Environment Act of 1995 local authorities are also required to review air quality in their area and in places where air quality limits are exceeded, they have to designate Air Quality Management Areas (AQMAs) where they have to work towards certain air quality objectives. An air quality action plan, describing the pollution reduction measures, must then be put in place. Read more about local air quality management. It can be difficult for local authorities to manage air quality within their area, especially if the problem is caused by something outside of their control (like a motorway passing through an urban area). To see if your local authority has declared an AQMA - which means air quality is in breach of national air quality standards - check the list here. What is the safe level of exposure to air pollution? Any exposure to air pollution can be harmful. The World Health Organisation (WHO) says that there is no safe level of exposure to the pollutant PM2.5 (tiny particles of pollution). In the interests of our health, the Healthy Air Campaign are calling for the UK to work towards WHO standards for air pollution.